Mediterranean is definitely among our favorite gastronomies, mostly because it uses so many beans, fresh yogurt and vegetables in simple combinations such as these delicious meatballs. They have them all – the moist, the texture and the delicious tzatziki on their side. They are loaded with protein and fiber, to keep you satiated and nourish your body cells, and you can have them as a snack a meal on their on own. Black beans are never missing from our pantry. We can literally throw them in any dish and turn it into a satiating one, be it a stew, a salad or these vegetarian meatballs. Like all the other bean varieties, black beans contain minerals and protein, but it's their special fiber and antioxidant compounds in their skin that make them really special. The fiber in black beans provides a great support for the colon wall cells health, because it nourishes the good bacteria in your colon, which in response produces the butyric acid to fuel the lower digestive tract and maintain its healthy activity. 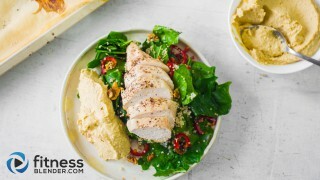 The optimal protein-fiber-antioxidants combination have extensive health effects, from lowering blood sugar levels to reducing the risk of cardiovascular disease. These vegetarian meatballs are a great way to add more fiber and plant protein to my diet. 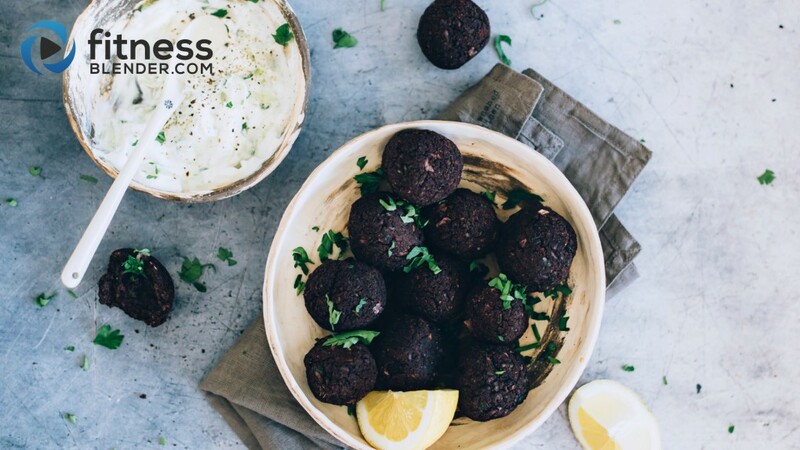 To obtain a nice flavor, this recipe uses different ingredients with a positive impact on your health – beans, chia seeds, oats, fresh greens, garlic, onion – proteins, fiber, healthy fats, minerals and vitamins – they are are packed into these little balls, served with tzatziki. Tzatziki is a creamy mixture of Greek yogurt with cucumbers, lemon and olive oil, resulting into a refreshing addition to sides or snacks like these vegetarian meatballs. Fermented foods like yogurt or tofu offer support for your digestive system maintain a healthy microbiome in your colon. The good bacteria colonies needs to be refreshed and this is when fermented foods work their magic. It may help keep a healthy immune-system, a healthy colon and increased vitamin absorption. If you can have all these just by serving tzatziki, with vegetarian meatballs, I'm definitely in for those! Add the beans, oats, chia, crumbs, onion, garlic and spices into a food processor and pulse to obtain a crumbled mixture (make sure you don't over process). Transfer into a medium bowl, add the eggs and lemon and mix to incorporate. Shape little balls using your palms and line them on the baking sheet. Bake for 20 minutes, remove and set aside to cool for a few minutes. Mix the tzatziki ingredients into a bowl, drizzle with olive oil and serve next to the vegetarian meatballs.